The mummified bodies of a baby and an adult have been discovered in Siberia, as part of the Zelenyy Yar necropolis, which was only found in 1997. 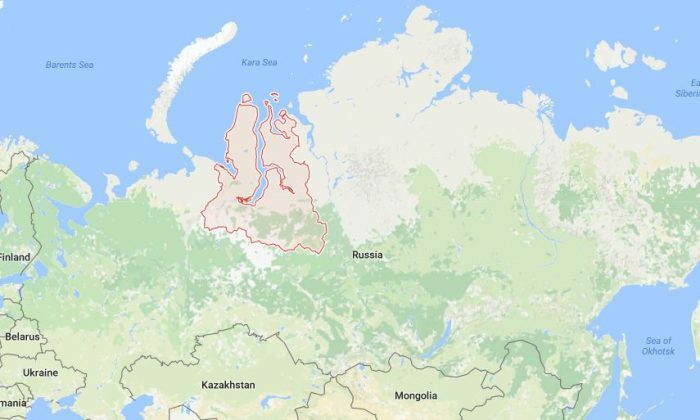 The two bodies were covered in copper, with the adult having been plated with the metal from head to toe, according to a press release from the Yamal-Nenets autonomous region. The ancient mummy was also covered in the “best fur,” according to the Siberian Times. “We did the MRI scan first and yesterday held the first stage of opening the cocoon. We saw that the body was almost fully mummified, thanks to copper – or bronze – plates, except for the right hand and his legs,” Alexander Gusev, research fellow at the Centre for the Study of the Arctic, was quoted by the publication as saying. Since it was found 20 years ago, about 100 burial sites have been discovered at Zelenyy Yar, including a bronze-casting workshop from the sixth and seventh centuries. The age of these two mummies recently found has not been confirmed—but the site was most active around the 13th centuries. Previous DNA analyses have shown those buried at the Zelenny Yar sites had links to Persia, Newsweek reported. Archaeologists have found 10th-century bronze bowls from Persia at the site. Specifically, the mummies were found near an ancient monument in a remote corner of Siberia outside Salekhard, which crosses the polar circle. The two mummies will now be evaluated at a lab.